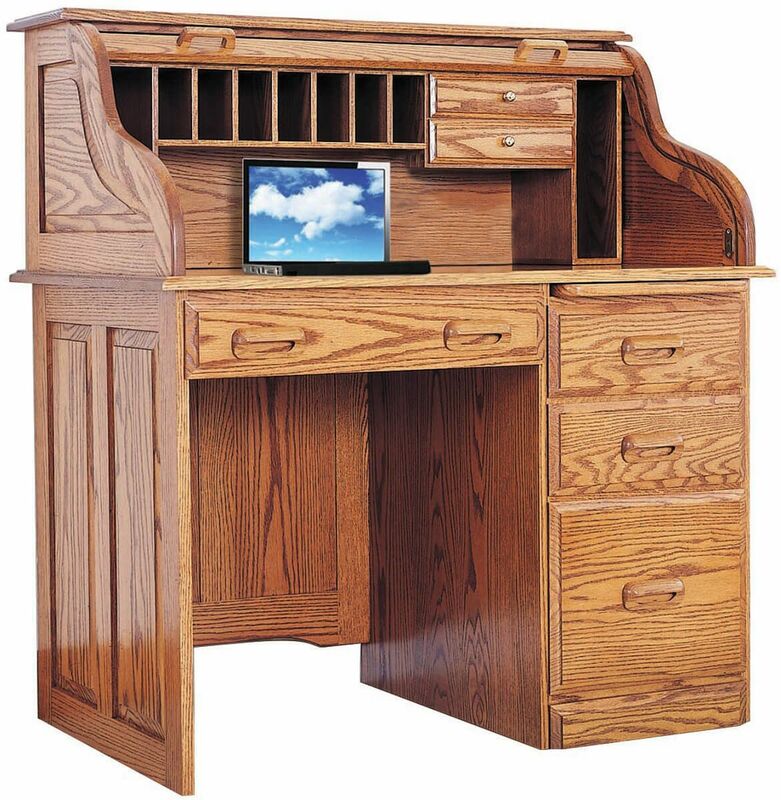 Handcrafted from the hardwood of your choice, this charming Receptionist's Roll Top Desk welcomes guests to your home or clients to your office. Beautiful raised panels and the curved tambour lid bring back a warm yet fancy welcome of days gone by. Available in either 36" or 42" wide, our Receptionist's Roll Top Desk is the perfect size for a youth desk or a small kitchen desk. Drawers, pigeon holes, and a writing board organize stationary, mail, or even the children's homework and a pencil tray in the lap drawer provides added storage. Shown in Oak, this classic roll top is standard with a right side pedestal. To order as shown, select our Spiced Apple finish. Like all of our fine office furniture, your desk will be built in your choice of solid Oak, Brown Maple, Cherry, Rustic Cherry, Elm, Quartersawn White Oak, or Walnut.